Freddy Krueger is defined in pop culture. He’s got the sweater, the hat, the glove, the burn victim scars, and the snark. 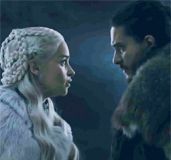 He’s crossed over so far that people who have never seen his movies know who he is, so much so that children might dressed up as him for Halloween, or – baring that – made tape-based faux-knives on their fingers. If you’re an adult it’s hard not to have heard of the guy, unless you’re Amish or something. 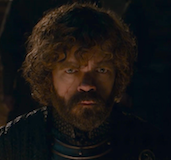 And because of his personality, he resonates on a level that even Michael Myers or Jason Voorhees cannot: They are defined by their masks, not their behavior (perhaps because both are usually played by stuntmen). With a remake about to be released, it’s always good to go back to the first film, the film that started it all. 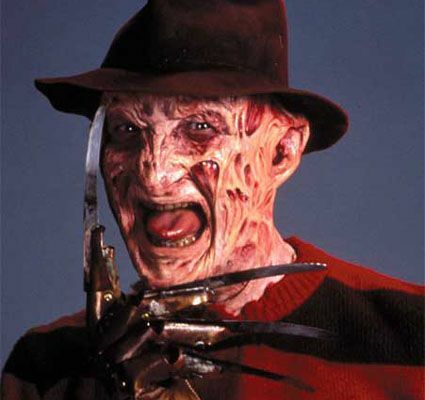 When Fred Krueger (Robert Englund) first terrorized a bunch of teenagers in their sleep. 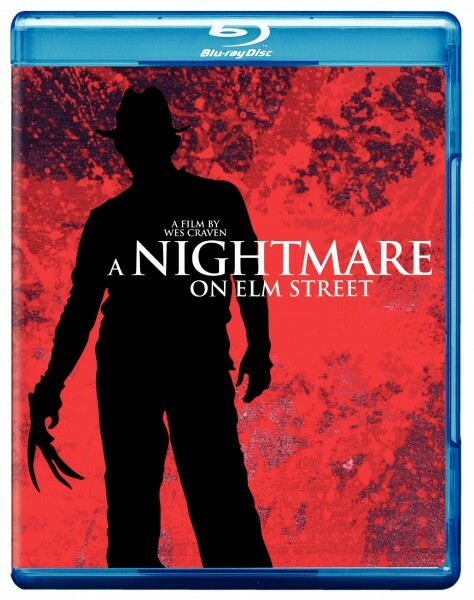 And my review of A Nightmare on Elm Street Blu-ray is after the jump. Heather Langenkamp stars as Nancy Thompson, a teenager who – like her friends – has been having weird dreams about a clawed man. 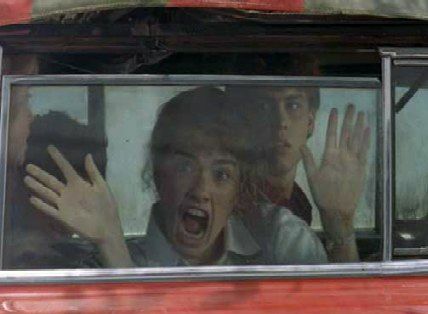 Tina (Amanda Wyss) is so freaked out she has a sleepover with her boyfriend Rod (Nick Corri), Nancy, and Nancy’s boyfriend Glen (Johnny Depp). 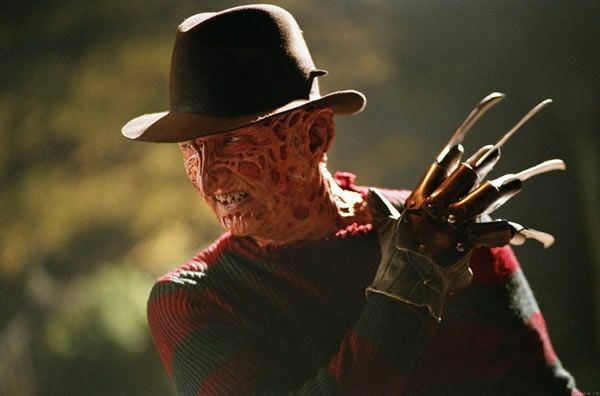 That night Freddy Krueger (Englund) comes to Tina in her dreams and kills her. Everyone in town, including Nancy’s dad Lt. Thompson (John Saxon), think it’s Rod and Nancy’s dad uses her to ensnare Rod. But Freddy keeps coming and kills Rod. Nancy finally finds out the truth about Freddy from her mother (Ronee Blakley): he was a child molester that the town came together – vigilante style – and burned him to death. But Freddy still haunts Nancy and what’s left of her friends, and their only solution is to try not to sleep. The film opens in one of Tina’s dreams, and though the imagery is crude, Craven understands dream logic enough to give it a heightened feel. Craven – as a director – has always been weaker than his contemporaries (John Carpenter, George Romero, David Cronenberg), but when he had a good script (this, The Hills Have Eyes), he has a no -nonsense approach that can get to the heart of it, and this is arguably his best film. The performers err on the side of amateurish, but the core idea is so strong that it doesn’t matter, and the idea that a terrible nightmare has real world repercussions is a powerful one. 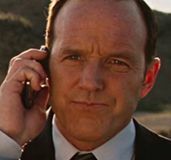 The other great thing about the movie is that Nancy is a strong female protagonist who uses her wits to fight off Kruger, and eventually (but not permanently) defeats him. I was first exposed to this franchise as a child of the video store. I think I first saw Nightmare on Elm Street Part 3, which is easily the best of the sequels. Though I was notoriously a scardey-cat when it came to horror, something about the dreamworld logic of these films appealed to me. To that sense I don’t know if I ever found these films all that scary, but it definitely tickled something in my brain. For that I’ve always had a soft spot for the films, even as the franchise grew more and more insipid. I enjoyed that I didn’t find these films scary, so much as they might make you jump or wince, but could place myself in the shoes of the protagonists, who fought off bad dreams, and the fun of the psycho-sexual imagery of the franchise. The first film is more basic in that regard and the jokes by Krueger are kept to a minimum. The first film is an effective way to combine the more fantastical elements of genre in a whole new way, and for that Craven created a horror character with little precedent. Though you could argue that he was an iteration of the dead teenager cycle popularized by Halloween with Freddy the unstoppable killer, but that he can only get you in your dreams is an inspired twist, and it’s no surprise he has managed to be a horror icon for nearly thirty years. 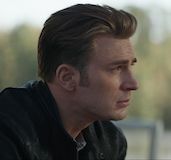 Warner Brother’s Blu-ray presents the film in widescreen (1.78:1) and in 5.1 DTS-HD. The film was a low budget production, and the film has always looked a little rough. This is easily the best home video version, and the transfer is better than one might expect from such a low budget effort. The colors are sharp, and the detail is strong. The soundtrack is also goosed a bit, so the jump scares play. 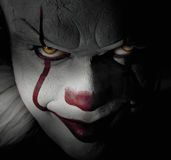 The film comes with two commentaries, the first from the Elite laserdisc, with Wes Craven, stars Heather Langenkamp and John Saxon, and cinematographer Jacques Haitkin. They even name drop laserdiscs at one point so you can tell it’s old news. The other was done for the Infinifilm two disc DVD release, and it’s a cut and paste commentary track featuring Craven, Haitkin, producer Robert Shaye, Robert Englund, Langenkamp, Amanda Wyss, Ronee Blakley, Co-producer Sara Risher, production manager and associate producer John Burrows, composer Charles Bernstein, editors Rick Shaine and Patrick McMahon, special effects designer Jim Doyle and special effects artist David B. Miller, with Film historian David Del Valle as offering thoughts. There’s a lot of love in this room, as it was a little film that could, and was the film that began New Line’s move into the majors. Robert Shaye’s always said that New Line was the house that Freddy built. The film also comes with Focus points, which take you to excerpts from the featurettes included (lame) and a trivia track. There’s a making of documentary “Never Sleep Again” (50 min.) which goes through Craven’s career and how the film was made and received, while “The House that Freddy Built” (23 min.) gives an overview of the studio’s history and how much was built on horror films. “Night Terrors” (16 min.) speaks to the dream logic and gets experts involved. There are three alternate endings (5 min. ), but none of the deleted scenes from the laserdisc, and little from the original New Line Freddy Box set. That had a bonus disc called the labyrinth which hid special features. Thankfully that era of DVD extras is over.